AIA Huron Valley is pleased to host a construction site tour of the Promanas Group's new Park Place Five Office Building. This 71,000 square foot office building, designed by O|X Studio and built by Contracting Resources, will provide new leasable office and medical office space to the Ann Arbor area. 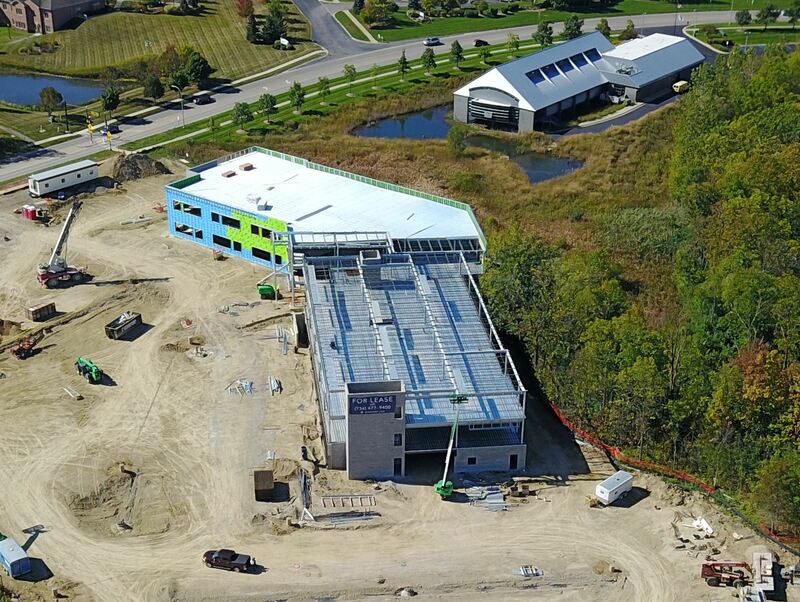 Located in Pittsfield Township on Oak Valley Drive, the facility is adjacent to the Ann Arbor Pittsfield Branch Library and an existing wetland. The construction tour will focus on the design of the exterior envelope, as well as strategies used to control cost and schedule during the design process. Participants need to dress in long pants, long sleeves and wear proper foot wear, and will need to bring hard hats and safety glasses. Parking is available on-site. This tour will be accredited for 1 HSW continuing education credit.